So you’re probably thinking: why can’t you set the goals and work towards them yourself? Well, like many gay men I’ve tried going totherapy, counseling, and even to a psychiatrist to deal with coming out, breaking up, and moving on. Unfortunately, I never had much success with these sorts of professionals. I felt like I was paying exorbitant fees to have someone simply listen to my problems. I had all but given up on ever finding a way to deal with the deep-set issues that affect many of us: issues from our childhood, harnessing our creativity, learning to love after our hearts have been broken. Then, I heard about life coaching. Life coaching is not therapy and it doesn’t feel clinical. I meet with my gay life coach once a week for an hour. Unlike counseling or therapy, our “sessions” do not focus on diagnosing or treating the past. We keep a forward-outlook. My coach is tough on me: she makes me set realistic goals and I’m expected to do “homework” to make steps towards those goals. So is coaching right for you? First, you have to want to change. All of us have problems, and all of us need goals. But you have to want to see something positive happen in your life. No, coaching isn’t free, but finances don’t have to hold you back from doing something to improve yourself. There are many coaches out there willingly to work with any budget. Search the internet for life coaches and you’ll be sure to stumble across someone that understands you and can help you re-generate into the person you are on the inside. Second, you should know that coaching is not a cure. It doesn’t make you do or say anything. If you listen to your coach, however, you will garner some life lessons that will be invaluable to your development, both personally and professionally. One of the early things my coach and I discussed was my reaction to traumatic or even day-shaking events. You know the ones I mean: fighting with your boyfriend, having a bad day at work, or waking up on the wrong side of the bed. My M.O. was to feed into these negative situations, which inevitably left me feeling paralyzed. My coach taught me a simple meditation that I can now use to calm down when things don’t seem to be going quite the way I’d like them to. It’s humble tips and tools like this that coaching gives you. What you do with the tools is up to you. Finally, and perhaps most importantly, you need to determine if life coaching is worth the sacrifice. Because believe me, coaching is no cakewalk. You feel vulnerable and exposed at first, but ultimately you’ll feel accomplishment at having taken some steps towards getting the things you’ve always wanted in life. Maybe that’s a long-term relationship, improved communication with your spouse, or a chance to showcase your art. Here’s my advice: take this ten-question questionnaire to assess your readiness for gay life coaching. And then jump right into it. Many life coaches offer a free initial meeting. Take advantage of that and see if you can connect with the coach. All right, so I know some of you are thinking this is all hogwash. And I admit that before I started coaching, I wasn’t sure of it either. But the honest truth is that gay life coaching is a great alternative to a professional therapist. Perhaps all gay men should get a life coach when they come out, or when they hit a bump in the road. Better yet, how about we all just get one to keep us on a path towards meeting our goals and being the people we ought to be. Arts.Advocacy+Wellness: "Singer/Songwriter Nhojj - My Brother"
If yo have not heard this new song by OutMusic Award winning singer/songwriter Nhojj, listen now. Also get your feet, knees, hips, booty...your FULL body ready to move because this tune has a dance groove that'll drive you bananas! Arts.Advocacy+Wellness with Cornelius Jones Jr. Sometimes I have days where I just need a little inspiration to wake me up to start my day. On yesterday I had a wonderful day and I just kept thinking how greatness comes on the hour every hour. I have always learned that our thoughts attract our reality and I am happy that that is true; because this means that we create and can change all circumstances. This gift of change is something very special within humans, and no one can take it from us. Throughout my day I was very excited to receive the blessings that came my way and even more excited to hear of all the greatness that was happening for my co-workers, followers, and remarkable things that were happening throughout the world. When you become aware of the amazing things that are in the world internalize them with a happy thought to keep more greatness coming your way. I challenge you to take sometime today and plan on what you want and be grateful for what you have to create great opportunities. If someone steps on your foot today, bumps into you, or who might even be rude to you just ignore them and internalize happy thoughts of gratuity and love. Radiate happiness in order to get MORE happiness. Create your Greatness and enjoy your Monday. Yesterday, we all said goodbye to the popular soap opera All My Children. I was one of those fans who sat on the couch and didn't leave until the final minutes aired. Once the show was over, I was full of sadness along with anger. My head is still wrapping around the fact that 90% of these soap operas are cancelling one after another. It's still a shocker to me that it is all happening so fast. Guiding Light, the longest running soap opera in America was canceled. Another year came by and As The World Turns left our lives. Now we are saying goodbye to All My Children with One Life To Live right around the corner. The one thing I like about soap operas is that it fulfills what all of us wish all tv shows could be. We wish they are daily shows. That was the one thing I love about it. Then as I started researching what goes on behind the scenes I completely understand why the shows are weekly. If all shows were daily, it would be alot of stress on the cast and crew. Screenwriters have to write fresh scripts everyday. Actors got to rehearse and shoot with only a few days for a break. The crew would sometimes have to sleep on set in order to stay updated on the upcoming tasks. Also, there is promotion and marketing, getting people into tuning back in to watch the show. It truly is some hard work. I started watching soap operas as much as I could once I turned seventeen. I always want to see what new type of stories they were bringing to the table. Everything is fresh and new to my brain and I was one of those fans mesmerized in every story. I felt like I am truly a part of that soap opera family. The Young and the Restless was first, and then All My Children progressed swiftly into my life. I'm still working on the others, but they will be a part of my life soon. Irna Philips, Agnes Nixon, and William J. Bell to name a few have brought us these shows that have spellbinding stories. We can't help but to sit out butts down and see what each of these characters are going through. As soon as you thought you got the whole story down, there is a new twist at the end of the episode. It's that devotion to the stories that made me fall in love with soap operas. It still gets under my skin that one of the reasons that All My Children was cancelled and the reality lifestyle show The Chew is taking it's place was because the production cost would be 40% less than the soap opera's daily budget. I already knew the other reason was because of declining ratings. After all, reality television is all over the place. However, I would not remove a legacy from television just to increase the things going into my wallet because of this new reality show. I would keep it on television as much as fans want to. Even when the ratings declined, the people that weren't watching it told them to keep it on the air. That's how much people love soap operas. So for all fans of soap operas all the world, let's save the soap operas. If we have to march for it, I would join without second guessing it. INVITE - MOVIE SCREENING: Critically-acclaimed film PARIAH Screens in Conjunction with "OUT on the Hill"
The National Black Justice Coalition in partnership with the DC Mayor's Office of GLBT Affairs will host a Special Advance Screening of the critically-acclaimed, coming-out story PARIAH on Sunday, September 25, 2011 at 7:00pm, Regal Gallery Place, 707 7th Street, NW, Washington, DC. A Q&A with Director Dee Rees and Producer Nekisa Cooper will immediately follow the screening. A rousing success at its world premiere at the 2011 Sundance Film Festival, this deeply felt human drama is the feature debut of writer/director Dee Rees. Adepero Oduye portrays Alike (pronounced “ah-lee-kay”), a 17-year-old African-American woman who lives with her parents (Kim Wayans and Charles Parnell) and younger sister (Sahra Mellesse) in Brooklyn’s Fort Greene neighborhood. A gifted student, Alike is quietly but firmly embracing her identity as a lesbian. With the support of her best friend Laura (Pernell Walker), she is especially eager to find a girlfriend. Wondering how much she can confide in her family, Alike strives to get through adolescence with grace, humor, and tenacity. Spike Lee is among the feature’s executive producers. 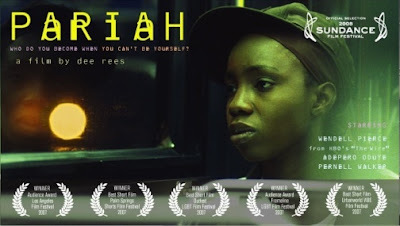 PARIAH is slated to open in Washington, DC during January 2012. To view the trailer click here: http://focusfeatures.com/pariah. To download a printable screening flyer, click here. To RSVP, enter your name, phone number, and mailing address at this evite link. Please note: We can only accept one email RSVP per attendee. If you plan to come with someone, ask them to RSVP separately via email. 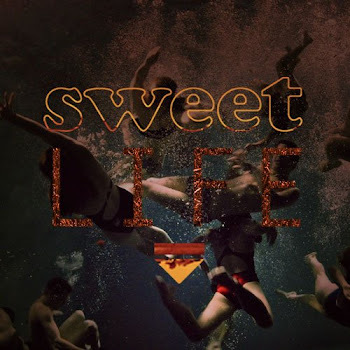 Most artists nowadays, display the glamorous life in their music videos. . you know the fancy cars, money, mansions, beautiful women, extravagant vacations and parties. Rarely do you see artists depicting the reality that we common folk experience everyday or are at least exposed to more than what what is in the videos. I guess some can argue maybe that's the point, to take us out of reality for a second. However, sometimes we need that harsh reality check and it seems like artists are just the person to give it to us now that their views and opinions hold more clout than ever before. With that said, more artists are now using their music videos as a platform to bring awareness to real issues that are affecting the community, especially the black community. Maybe through their words and creative vision, people will start to become more aware. Did you know that breast cancer is the most common cancer diagnosis among African American women, and among women nationwide? If you haven't been directly or indirectly related to the disease, you might not show too much concern. You might think it will never happened to you or someone close to you. You might go as far as not taking the proper precautionary actions. Last year, Eric Roberson used his video Still to spread awareness about the disease and just recently, Musiq followed suit and released his video for Yes, which he dedicated to breast cancer fighters. 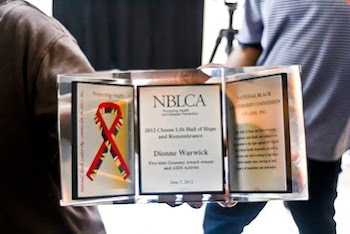 Musiq was also named the ambassador for Susan G. Komen for the Cure® Circle of Promise. Watch both videos below as Roberson and Musiq take a different approach in depicting the seriousness of the disease. Homosexuality, especially among black men, is a sore subject in the black community. Recently, the topic of bullying has become a household term as a result of so many people committing suicide because of being bullied. To shed light on this sensitive topic, Marsha does amazing job of walking us through the life of a homosexual black man as he is ostracized. 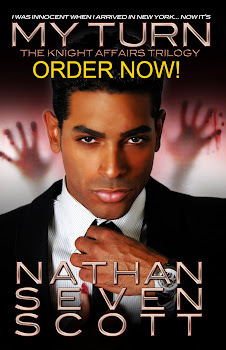 It also serves as a personal testimony of Marsha's which shows how willing she is to make herself vulnerable by telling this story in hopes of spreading awareness of the negative effects of bullying. 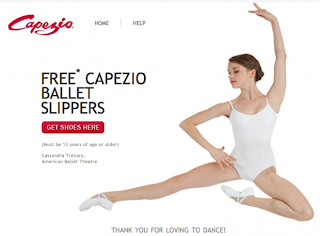 Did you know Capezio Dance Store is giving away Free Capezio Ballet Slippers? 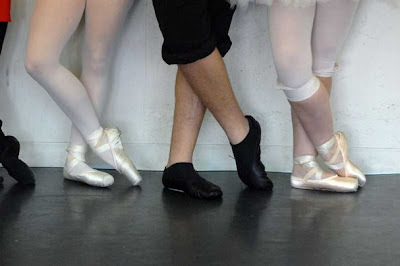 CLICK HERE to get your free Ballet Slippers and LIVE for the DANCE you DAH'NCAH! 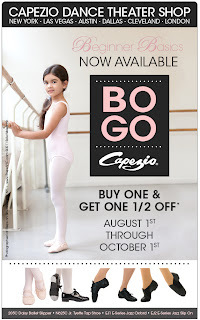 Beginner Basics / BOGO buy ONE & get ONE 1/2 off through October 1, 2011.